The e-commerce Industry in India is one of the fastest growing market places in the world. 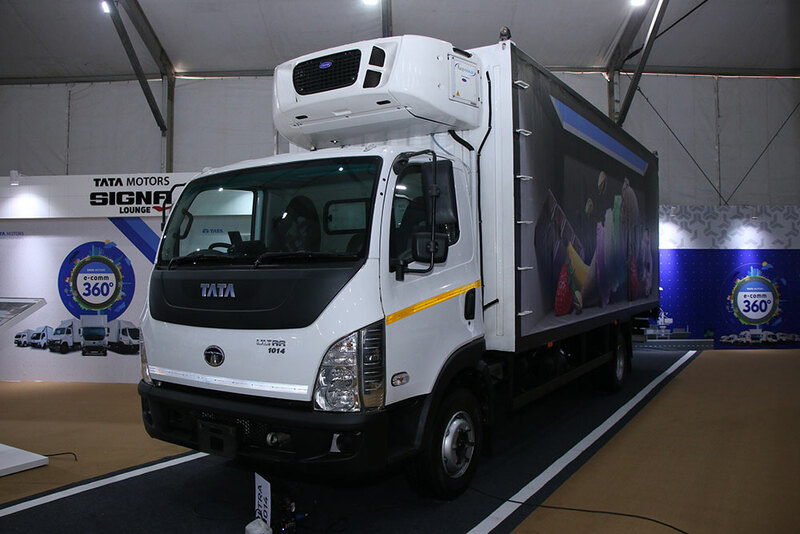 To meet the critical, demanding and ever growing requirements of this Industry, Tata Motors as the leader in Commercial Vehicles, in a first ever end-to-end experiential expo for the e-Commerce Industry is displaying a complete range of 13 fully built, ready to use vehicles. This wide range of ready to use fully built solutions exclusively developed for the e-Commerce Industry can meet every single application cutting across hub-to-hub-to-spoke transportation and the end-to-end delivery requirements. 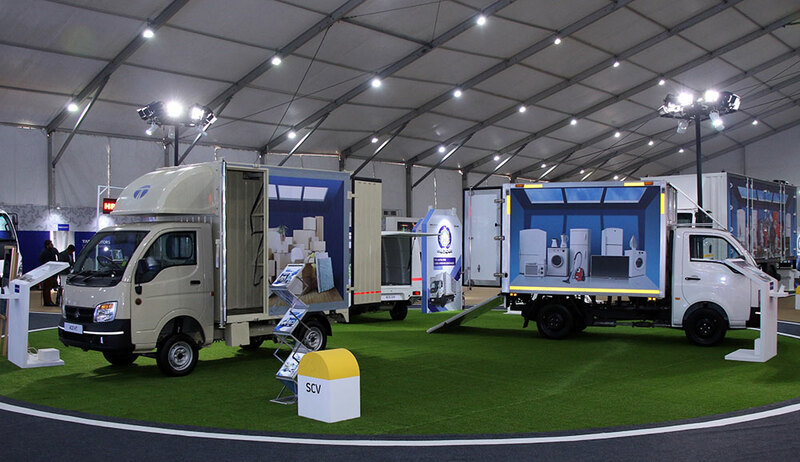 At a sprawling E Commerce Expo 2019 held in Devi Lal Stadium, Gurgaon, the company displayed some of the bestselling variants across SCV, ILCV and MHCV segment. Tata Motors has developed these fully built ready to use solutions after extensively researching the exacting requirements of the e-Commerce Industry, engaging with the top e-Commerce companies and their vendors involving our own design engineers and our FBV team by incorporating their requirements in the design and features as desired by them. For the last mile distribution, Tata Motors with its range on the bestselling Ace platform has exhibited versatility through Ace Delivery Van for e-commerce goods, Ace Zip panel van for e-commerce packages and Super Ace Mint XPS for voluminous goods transportation. Equipped with state-of-the-art technology, ease and convenience of use, efficient and reliable performance with best-in-class mileage, and most cost-efficient solutions; these vehicles are known for superior design, excellent fuel economy, a longer service life and with its versatility supports the various customizations for multiple applications, enabling smarter solutions for the e-commerce industry. The vehicles come with customized payloads and deck lengths to carry light goods like white goods to heavier loads like fruits, vegetables and auto parts. Tata Super Ace Mint Insulated Container allows for the temperature-controlled transportation of perishable goods like milk/ milk products/ Fruits & vegetables/ meat, etc. For the hub-to-spoke transportation requirements, the company displayed a range of Light and Intermediate commercial vehicles on the modern newly launched series of Ultra trucks, which has gained substantial growth in a very short period. The Ultra range of trucks are powered by the powerful, modern and high performance Turbotron engine giving it the clear edge in terms of performance, reliability, operating economics and much more. These vehicles are fitted with the advanced features like OTP lock, CCTV cameras, Load sensors, Telematics system, etc in line with the exacting demands of the e-Commerce Industry. These vehicles equipped with the latest advanced Safety Features, reduces the total cost of ownership, and gives best-in-class mileage along with high level of driving comfort & safety. The exhibits included 24 FT MS Container On Ultra 1518/53, 20 FT MS Container on Ultra 1014/45, 20 FT MS Reefer On Ultra 1014/45, 3 Side Openable – MS Container On Ultra 1518/53, 22 FT MS Container on LPT 1412/48 and 10 FT MS Container on SFC 407/33. The whole range will cater to the growing needs of e-Commerce, Industrial Goods, Auto Component, FMCG, Agri Products, Beverages, Pharma and White Goods industries. For the hub-to-hub transportation requirements, a complete range of fully built solutions from the portfolio of MHCV is displayed. These vehicles built exclusively for the e-Commerce Industry are customized with special advanced features catering to the special requirements. The 24 Ft refrigerated container on LPT 1613/52 and 32 Ft Refrigerated Container on LPT 2518/68 are well equipped to cater to the growing demand of the cold chain supplies like frozen foods, ice cream, dairy products, fruits & vegetables and pharma. The 31 Ft MS Container on SIGNA 2818/68 AMT vehicle combines the unmatched benefits of a ready to use truck equipped with advanced safety, security and surveillance features (like Anti Fuel Theft, Digital Locks, Reverse Parking and In-Container cameras, Load Sensors, Door Opening sensors) and pioneering Automated Manual Transmission and Hill Start Aid delivering class leading driving delight and comfort. Fueled by rising incomes, increasing government support, and a surge in the internet users, the Indian E-Commerce market is expected to grow to US$ 200 billion by 2026 from US$ 38.5 billion in 2017. Today, companies are also increasing their distribution centers and their fleet size to cater to the growing demands of the consumers. We believe, the E-Commerce Expo 2019 will act as a platform to address the growing demands of the transporters and E-Commerce players; and provide them with diverse range of fully-built products with customized features. Through our product offerings, we are shifting the paradigm for new age products and smart solutions. Designed based on the feedback and suggestions received from the customers, the company has created experience centers for customers to better understand the high-end technology/design implemented in making the vehicles superior and reliable. The expo will witness presence from transporters and leading e-Commerce companies such as Amazon, Flipkart, Future Supply chain, DHL among others.